Our range of metallographic equipment along with consumables are used by a wide range of industries and groups for the analysis of all types of materials, including ceramics, composites, semiconductors, metals, rocks and minerals, and plastics. Our suppliers are well established as leaders in metallographic sample preparation and analysis instruments, equipment, consumable supplies and application solutions. Fungilab’s rotational viscometers are available in three series, each with their own merits and functions to provide the highest and most accurate performance in viscosity measurement. Combined with a wide range of accessories, these viscometers are designed with the end-user in mind. Refractometers and Polarimeters are widely used for measurement of refractive index and optical rotation. We supply a large range of handheld and benchtop products are available from two leading manufacturers: Bellingham + Stanley and Schmidt+Haensch. These instruments can be used in a variety of applications, such as food, beverage, pharmaceutical, chemical, and petroleum industries. Konica Minolta provides advanced optical technology that precisely measures the elements of color and light. These products have become a staple in research and manufacturing environments, helping organizations to meet product quality and operational standards. Each instrument is hand assembled with quality parts by a master technician and tested for performance, precision, and durability through a stringent quality control process. 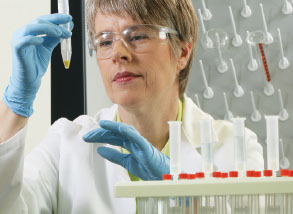 Determining moisture content has never been more important in today’s laboratories and industries. Choose from our wide range of moisture analysers and water activity meters to meet all your quality control needs whether they are in food and beverage, pharmaceutical, or industrial environments. Foreign body identification (FBI) is increasingly important to ensure hard-earned brand integrity and consumer safety in the competitive, high-visibility food industry. Hardness testing is performed to determine the characteristics of new materials or components and to ensure quality assurance levels are met to the required standards. Ernst provide precise and safe hardness testers for guaranteed results every time. With characteristic Ernst innovation and constant attention to market demands, you can be assured your instrument will be reliable, even in the most complex of environments. GE Portable Hardness Testers offer a quick and economical alternative to stationary hardness testing in the modern production process.